This article is written by Sardar Santokh Singh Randhawa PPT., PJK. Past President: Khalsa Diwan Malaysia, Past Chairman: Punjabi Education Trust Malaysia. for the 10th Anniversary Special Issue of PETM in 2010 in Penang. Punjabi language came to be taught in Malaysia from the time Punjabis were brought to Malaysia by the British rulers in the 2nd half of the 19th century. The schools that existed then were either English medium or Malay Medium. The early migrant races like the Chinese, Tamil and Punjabis had to organise their own language classes. The Punjabis whose social, cultural and religious lives are centered around Gurdwaras, naturally began Punjabi Language education there. The emphasis was on reading and writing. The ultimate aim was the recital of Sri Guru Granth Sahib Ji. 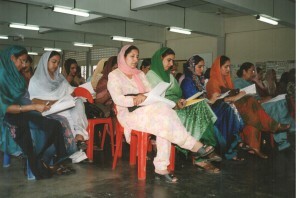 Formal Punjabi Education started when the Government established vernacular language Primary schools early in the 1900s. Children received 6 years of education in their own mother tongue and then were transferred to Secondary schools where the medium was either English or Malay. There were about 14 such Punjabi Language Primary schools in Malaysia in the 1960’s and about 60 to 70 private Punjabi Language Schools. In 1960 about 200 pupils sat for PMR Punjabi Language paper and 47 sat for SPM paper. It is clear that both the government and the community actively taught and promoted the language. It could be safely said that over 80% received some sort of formal or informal education in the language. The 1970’s and 1980’s saw a drastic change and decline of the teaching and learning of the language. The reasons were many and varied. Among them were the Education Policy of the Government, the lack of economic profitability, few trained teachers, suitable books, leadership, anchor organization etc. In the 1990’s it is estimated that only 20% of Punjabis could read , write and speak Punjabi, 40% could speak and the other 40% could not even speak properly in Punjabi leave alone read and write. From 1980 onwards fewer and fewer pupils took the Punjabi language paper in SRP and SPM. The decline was so great that the Education Department did not set the PMR papers in 1993,1994 and 1995. However after request from some Punjabi organizations the paper was resumed in 1996. While the decline was in progress , it sounded an alarm among the community leaders and associations . In fact the Punjabi teachers in the Government Schools organised a seminar at Genting Hotel, Genting Highlands from 13-15 August 1988 . This seminar was hosted by the National Union of Teachers together with International Federation of Teachers Union KPPK/IFFTU . Besides that a number of Punjabi associations organised similar seminars to find a solution . Nearly all ended up in a lot of theories but none came up with some concrete viable plan . The challenges were many such as finance, books, teachers, facilities etc . Practically the century ended seeing the decline at its rock bottom with no solution in sight . It is easy for a community to organise and overcome a problem like education if it has the backing of the government. It can still overcome the problem if the community is under one national organisation. Given the actual situation and position of the Punjabi community, it is indeed a difficult task. The community is so decentralised that it is difficult to organize something that needs centralisation. There are about 100 Gurdwaras (temples) and I can safely say that the community is divided into that many groups. They may be doing something of their own to teach the language depending on their capability and ability and the availability of facilities and man power. Khalsa Diwan Malaysia is one such organisation which was in position to take up the challenge. It did. It is a National based organization. It is the oldest Indian organization, found in 1903. In fact in the first half of the 20th century K.D.M. played the role as the main body taking care of all social, cultural, academic and religious needs of the community. With the setting up of numerous Gurdwaras and a number of other Punjabi organizations, the role of K.D.M. was reduced and the organization became less active. Though less active, it did not loose its vision and mission assigned to them in its early days. Its educational wing too, foresaw the decline of learning and teaching Punjabi Language in Malaysia. A bold step was taken in 1998/99 to rekindle the teaching and learning of the language. It was not just advocating or propagating the importance of learning Punjabi. It was to built up a viable infrastructure or network to cover the whole country. A network that could withstand the test of time and scrutiny of fellow organizations and Gurdwaras and associations was held at K.D.M. on Thursday the 15th of June 2000 from 9am to 4pm. At that gathering, the formation of the structure was explained and in fact launched. It was a historic day. 5.2 Set up state level administrative centres. 5.3 Set up area centres. 5.4 Look for print / publish / suitable text books. 5.5 Come up with syllabus in line with PMR / SPM Punjabi Language papers. 5.6 Prepare scheme of work and time-tables. 5.7 Help to find suitable place / schools for centres. 5.8 If necessary finance such centres. 5.9 Negotiate with the Education Ministry and the Government for facilities and financial help. 5.10 Prepare for centralized examinations. 5.11 Raise funds to finance the project. 5.12 To provide guidance and training to teachers / management boards. 7.2 Gather students and grade them for classes. 7.3 Responsible for enough class rooms. 7.4 Responsible for enough teachers. – Identify and requesting for Government schools. Late 1999 and the year 2000 was marked to solve the above problems and the year 2001 was targeted to take off the classes. The officials planned and made an extensive tour of Malaysia, visiting nearly every Gurdwara, giving talks and identifying suitable places or schools. Contacts were made with Principals and Headmasters of schools to provide facilities on Saturdays from 2pm to 6pm. As envisioned , 6 centres were started off in January 2001; Ipoh, Taiping, Kampar, Sitiawan, Butterworth and Penang. In 2008, we have over 37 centres all over Malaysia, including Sabah and Sarawak. The constitution provides for and encourages the teachings and learning of vernacular languages. However it has its limitations. Chinese and Tamil language is widely taught at primary level in such schools. It is even widely taught as Pupils Own Language (p.o.l.) in both Primary and Secondary Government Schools. Government plays the role of training Chinese and Tamil language teachers who are paid by the government. No such facilities exist for Punjabi Language. The ruling that there must be 15 students per standard or form and there must be a qualified teacher to teach, is unfavorable to the teaching and learning of the Punjabi Language in Government Schools. Punjabi population is thinly spread out in Malaysia and it is difficult to find 15 student in any one standard or form. It is even more difficult to find a Punjabi Language Trained teacher. Hence the decline of the language. Even if in a handful of schools, where it is possible to start such P.O.L. classes, problems arose in getting suitable books and material to train pupils for PMR and SPM Punjabi papers. One consolation is that the Government prepares and set Punjabi language examination papers at PMR nd SPM levels. The role ended there. form 5 . These should go under the free –loan text book scheme . Government should provide us with free school facilities on Saturdays from 2pm to 6pm. The Government should provide allowances to teachers that teach in these centres. It should also provide in-service or holiday courses to the Punjabi Language teachers. Above all the Government should give recognition to the structure that is in motion now. We are willing to help and run such centres for Punjabi Language classes as it may be difficult for the Government to create Punjabi Language vernacular Primary Schools to train such teachers. We know that we are thinly spread out throughout Malaysia and do not make up an economically feasible group for the teaching and learning of the subject. The community is willing to take up the challenge and in fact it has. We need the assistance of the government. 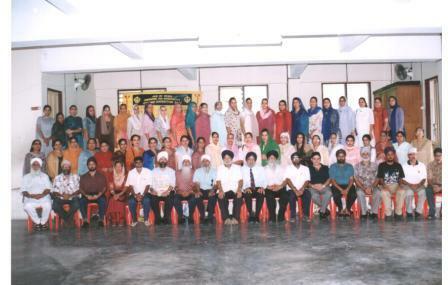 The first seminar of all teachers and well wishers interested in the advancement of Punjabi Education in Malaysia was held at Wadda Gurdwara Sahib Ipoh on 29th December 2001. The Seminar was organised by Khalsa Diwan Malaysia and attended by renowned teachers and lecturers of Punjabi Language from K. Lumpur, Perak and Penang. A very successful event. 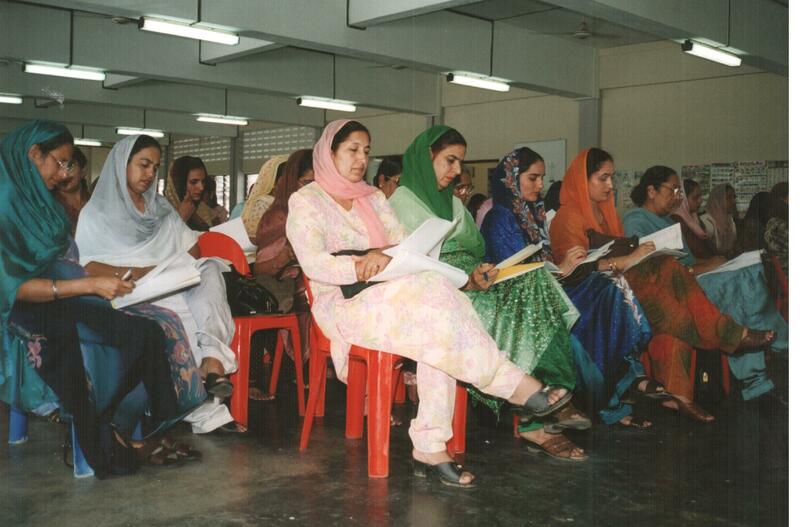 The encouragement shown by the participants paved the way for the teaching and learning of Punjabi Language.